Partly cloudy skies early. Thunderstorms developing late. Low 66F. Winds SSE at 10 to 15 mph. Chance of rain 90%.. Partly cloudy skies early. Thunderstorms developing late. Low 66F. Winds SSE at 10 to 15 mph. Chance of rain 90%. Livingston Parish will continue to grow, whether local officials prepare for the effects of the growth or not. OPINION | McHugh David: Population growth is coming, rapidly - do we have infrastructure answers? Livingston Parish faces an interesting conundrum in the upcoming years. The debate will center around one question -- were we ready? For what, you may ask? Growth. As lawmakers descend upon Baton Rouge for a special session, called by Gov. John Bel Edwards to address the $1.6 billion fiscal cliff, it will be interesting to see how many deals get made during that time ... if any, as today’s political landscape favors the power brokers over compromise. That should be helpful to Livingston Parish, as Republicans hopefully set their sights on one thing and one thing only -- infrastructure improvements. Indeed, despite a budget deficit and a mounting backlog for the Department of Transportation and Development ($30 billion all said and done, and growing) it still does work, and hopefully it will do more in the parish’s back yard. Yes, DOTD is adding roundabouts to some key junctures on the western side of the parish that will – hopefully -- help with traffic flow. But those types of improvements will only help current traffic gridlock -- they will do little for the growth that is coming. Since the early 1970s, Livingston Parish has faced an exponential growth curve in population. The curve flattened in 2016 for a brief period at about 135,000, due to the Great Flood, and has since began its steady rise again. The curve is going to take a steep trend upward into a level of growth not before seen (quadratic?) and estimates are the population will double by the late 2020s. First, let the number 270,000 sink in. Second, you’re probably asking “how?” It would take many pages to list all of the new locations where residences are coming to Livingston Parish, so let’s take a snapshot of an area that’s booming -- Juban Road. Roughly four brand-new residential developments are planned for Juban Road within a mile of the interstate. First, to the north, Cellia Gardens is building out about halfway between I-12 and U.S. 190 – it’s going to be, roughly, 100 homes when all is said-and-done. Second, the condominiums on the north side of Juban Crossing shopping center seemingly popped out of the ground -- rough estimates are 150 units. A quick note that DSLD also has a speculative subdivision of detached, single-family homes coming on the north side of Juban Crossing sometime in the next 2 to 3 years. Final numbers on that particular spread are yet-to-be-determined. South of the interstate, a brand-new apartment complex off of Buddy Ellis Road has begun the leasing process for units to be available in May -- 144 units. Also south of the interstate is the proverbial elephant in the room -- a 2,000-home subdivision (complete with an elementary school courtesy of the developer) is still on the books despite the Great Flood. The disaster simply sent the developer back to stage one on drainage models, but the homes are still coming within the next 3 years. So, in an area that is little more than 4 square miles, Livingston Parish will be gaining 300 apartment units and 2,100 homes. By comparison, the parish itself is 500 square miles -- and there are plenty of new subdivisions popping up all over as the speculation is -- and continues to be correct -- people still want to move here. That’s the great news -- despite the worst flood in the (recorded) history of the parish, residences, students, public officials, law enforcement, first responders, and businesses did what they had to do to keep Livingston Parish rolling on a great path with some of the best schools in the state and the law enforcement to match. 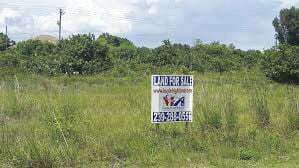 It doesn’t hurt that Livingston Parish has a reputation for getting more “bang for your buck” per dollar in the real estate realm. As mentioned, however, the infrastructure is woefully inadequate. Congressman Garret Graves, R-Baton Rouge, has remarked on many occasions that Baton Rouge's travel corridors have some of the worst traffic in the nation. One can only imagine what will happen when those numbers go up. A 2012 study stated more than 100,000 vehicles passed the Denham Springs exit (Range Avenue) on I-12 per day, and went on to say that two out of three people from Livingston Parish left every day to go to work in other parishes. Let’s get conservative and say that number has dropped to one in two – 50 percent -- heading to the Red Stick; that’s potentially 130,000 cars. Now, I-12 carries spare traffic, so the addition will actually be more, but let’s just consider that the new-vehicle situation will add 30,000 more cars per day spread across three bridge entrances to Baton Rouge. Sounds terrifying? That’s probably why Sen. Dale Erdey, R-Livingston, is already pushing for roundabouts in Livingston – he’s trying to keep them ahead of the curve. Solutions have to come, and they have to come fast. Buddy Ellis Road will not be able to handle that new subdivision, much less the apartments, and there’s plenty more room for new residences in that area. Toll roads have been widely panned in Louisiana due to low income rates and the fear that their use will not fully fund the cost. Unfortunately, the Capital Region may not have much of a choice on the matter -- something has to give, as predictions show congestion getting much worse, not better. Either way, the battle starts in the Legislature’s chambers this spring -- we can only hope our delegation is up to the task. Check out these Livingston Parish headlines from February 13, 2018!